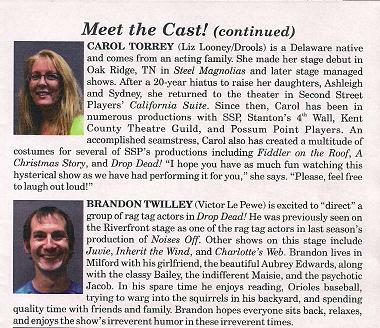 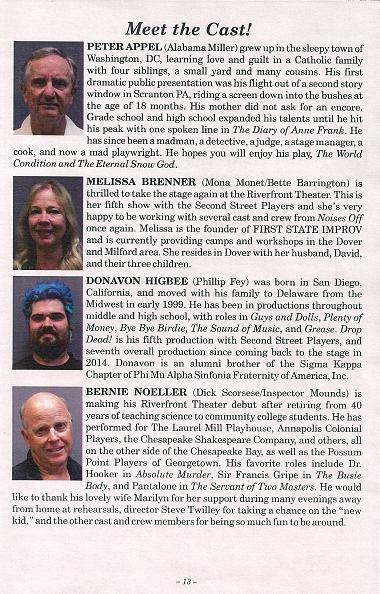 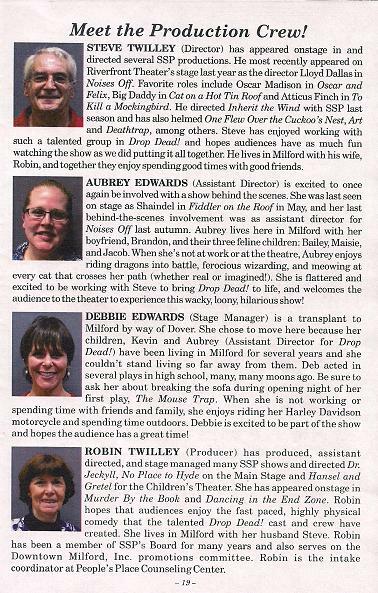 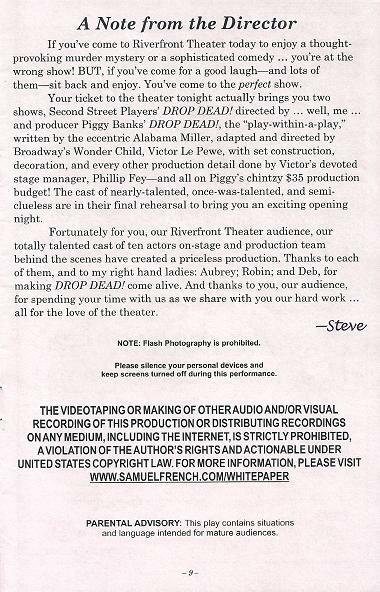 A cast of has-been actors plan to revive their careers in "Drop Dead!," a potboiler murder mystery directed by "Wonder Child of the Broadway Stage" Victor Le Pewe (a psychotic eye twitching megalomaniac). 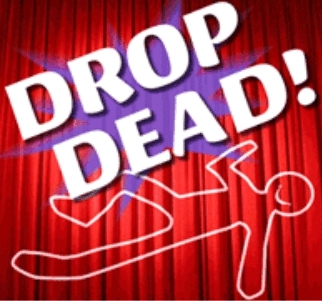 Drop Dead! 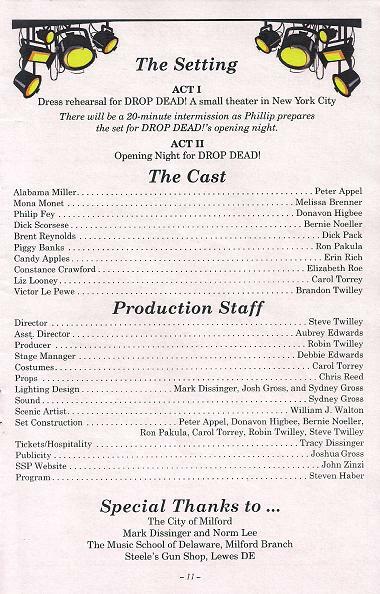 first opened at The Cort Theatre in Los Angeles, California, on August 16, 1991. 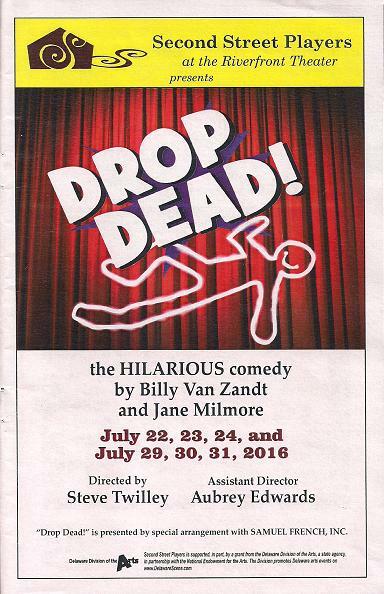 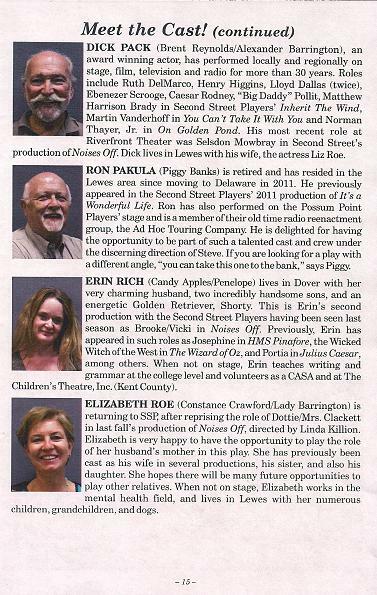 PARENTAL ADVISORY: This play contains situations and language intended for mature audiences.